Our office hours are Monday to Friday 8:15am - 3:30pm. My name is Darren Meyers and I am part of the Board of Trustees for West Melton School. We have been in West Melton now for over seven years and have had involvement with the school for six of those years. I have been the Deputy Chair over this time. I feel that I am very involved with the school, not only from the Board of Trustees side, but also with having Daisy, Otis, Sid and Hugo attending the school. Additionally, I help with other aspects of the school as a parent including volunteering for sports events, watering the fields over summer, day trips and school camp attendance. I feel I have the personality and ability to 'think outside the square' and speak as a parent representative when I see the need. I enjoy being on the Board and seeing my children at the school. As we move into the new buildings this year I look forward in continuing to work with the school leadership team in our push for further new classrooms and the goal of keeping West Melton a great school that we all want our kids to attend. I reside in the West Melton area with my wife and 2 children. My eldest boy is in Year 2 at West Melton School, and my youngest son is starting this year in October 2016. I feel passionate about the success of West Melton School and the place it has within the West Melton Community. My career includes being a Registered Land Surveyor and Civil Design Engineer, and I have grown and developed my skills to be highly successful at delivering successful solutions and projects for clients also to build and maintain quality relationships with open and honest communication. Currently I referee rugby as part of West Melton Rugby Club, and umpire netball at Premier level for both the Selwyn and Christchurch netball competitions, along with coaching upcoming umpires in Canterbury. Hi my name is Brett Neal and I have two daughters at school. I have enjoyed my time on the board and since being on the BOT I have project managed the solar water heating for the school pool. This has helped extend the swimming season for our students and for the wider community. I have co-ordinated the traffic safety management plan which will help our students get to school in a safe manner. This has involved working with the school community and the Selwyn District Council. West Melton School is currently going through a large build project at the moment with more building of new classrooms in the near future. Being on the BOT I have been committed to ensuring that our learners have had the necessary resources available to them so that they can reach for their full potential. I have enjoyed working with the students and teachers at West Melton School and I look forward to working with them for another term. My name is Sara Paris and I have two children at West Melton School (Will and Libby). I joined the school board in 2016 and feel extremely privileged to be a part of this thriving school and community. In early 2018 I was elected as Board Chairperson which has been a great opportunity for me to utilise my professional skills within the school. 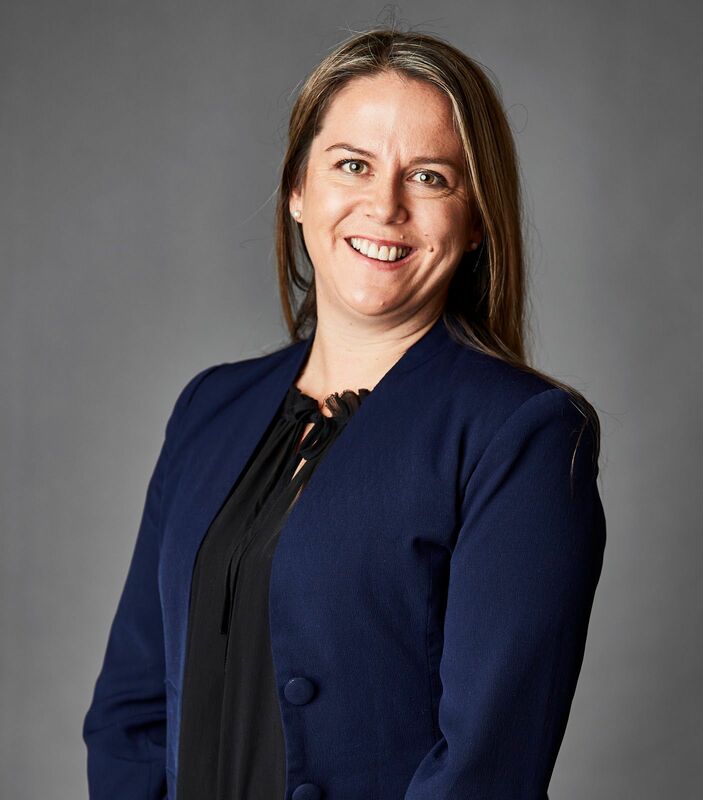 My career is as a human resources professional in the construction industry and I lead the human resources team across New Zealand and the Pacific Islands. My HR background has been invaluable when it comes to governance of the school and applying wider business knowledge. The success of my career has been through building strong relationships where I have diplomatic, open and honest communication across all levels of the business. Both Brent and I love our sport, Brent is a member of the local rugby and tennis clubs and I am actively involved in Karen's West Melton Physical Training. Our children are also actively involved in sporting activities across the community. I feel very passionate about leading the Board of Trustees and it's a great opportunity to positively influence the school and work with Sue and her team on taking us in the right direction, for the benefit of the children and families in the community that we thoroughly enjoy living in. Tim joined the board in January 2015 after being co-opted to fill a vacancy. He was re-elected to the board in 2016 for the next term as a parent representative. By day Tim works in a senior leadership position in a high-growth Christchurch software company, yet in West Melton Tim loves to volunteer in the many clubs and events available in the town. Tim’s worked on the West Melton Residents Association for several years, running its community website, lobbying for road safety improvements and helping with events such as the town’s 150th celebrations. Tim has two girls at West Melton School in years two & four who thrive in the many sports and recreation opportunities in the town and around the district. Hi I’m Kim. I’ve lived in West Melton for almost five years now in the Gainsborough subdivision. I am married to Marty and we have three children, Abby, Sophie and Finn. I am a fully qualified Chartered Accountant and have worked mainly in the IT industry with roles at Optimation NZ Ltd (Wellington), BP Oil International (london) and Jade Software Corporation (Christchurch) before taking time off to raise my children five years ago. Having lived in Auckland, Wellington, London, and Christchurch before moving out to West Melton, I love the sense of community we have here that I have never experienced anywhere else! I am passionate about the West Melton community and school and want to see it be the best it can be, hence why I applied to join the Board of Trustees. My other interests include travelling, camping, netball and boot camp (when I’m not injured! ), reading (have just joined the WM Book Club!) and catching up with friends and family.